JK Rowling has finally discussed Albus Dumbledore's sexuality and the true nature of his relationship. JK Rowling has finally revealed what Harry Potter book fans were speculating for a long time. There have been several talks about Albus Dumbledore's sexuality and the British author, who is currently busy with the third part of Fantastic Beasts, has openly stated that Hogwarts' headmaster was once in a passionate relationship. In the Harry Potter books and all the subsequent movies including Fantastic Beasts: Where to Find Them and Fantastic Beasts: The Crimes of Grindelwald, the sexual natures of fan favourite Albus Dumbledore is not discussed in any capacity. However, over the years, readers and moviegoers have come up with several strange theories about Dumbledore's relationship. In the Harry Potter and the Deathly Hallows, while living at Godric's Hallows, Dumbledore befriended Grindelwald. It was that time when Grindelwald was suspended from his magical school and was at the Godric's Hallows in search of the three Deathly Hallows. During those days, Albus and Gellert spent many hours together discussing the Deathly Hallows. Things took a different turn between both of them when in a duel, Albus' sister, Ariana lost her life. Besides this, in the recently released Fantastic Beasts: The Crimes of Grindelwald, it was shown that Albus and Gellert have made an Unbreakable Vow, which stopped Albus from killing Gellert. 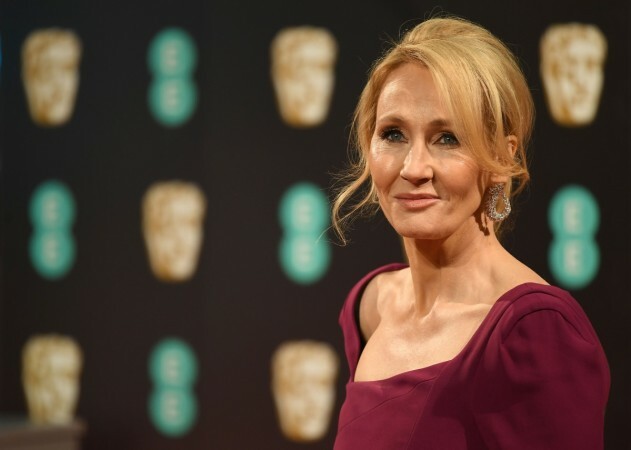 Now, JK Rowling has finally discussed Albus Dumbledore's sexuality and the true nature of his relationship. Rowling's revelation has apparently made several heads turn but at the same time, fans are happy that they finally know the true nature of Dumbledore's relationships. "It was passionate, and it was a love relationship," Rowling said during her recent interview with Radio Times. "But as happens in any relationship, gay or straight or whatever label we want to put on it, one never knows really what the other person is feeling. You can't know, you can believe you know. So I'm less interested in the sexual side -- though I believe there is a sexual dimension to this relationship -- than I am in the sense of the emotions they felt for each other, which ultimately is the most fascinating thing about all human relationships." This is not the first time when JK Rowling has talked about Albus Dumbledore's sexuality. Back in 2007, Rowling casually confessed that Hogwarts' professor was gay.